I think this is one of my favorite looks that I've done. 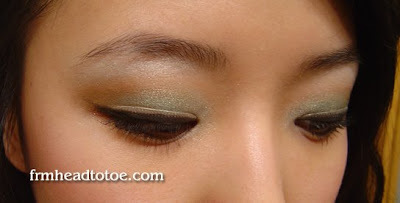 It's just a very easy, fresh look using natural colors. I used my "backwards application" experimental technique again, meaning that I sweeped the second color into the inner corner of the eye instead of the outer crease. The shadow colors I used were NYX Golden Dune, Loreal Infinite in 310 glistening sea, and NYX Mosaic Powder in Highlighter for the brow bone. Lips were Dior Crème de Gloss in color 255, a light pink, slightly frosty lip color. Can I just say I LOVE Crème de Gloss? It feels so light and creamy and you can make it opaque like lipstick or sheer like gloss. Also, no stickiness. One of my favorite lip products. For some reason, I woke up and my hair was super wavy. I took a shower the night before and slept with my hair wet and this is what happened the next morning. Totally weird. My hair isn't pin-straight, but slightly wavy naturally. I usually need product in my hair or heat-styling tools to get it this way so I was pleasantly surprised. I even had a random full curl in the back! Now that I've covered the "head" I need to mention the "toe" since I bought another pair of shoes. I know, I have a shoe problem but I need to grab what I can when something comes in a size 4! 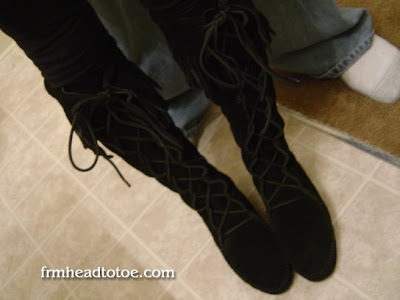 Here are my beloved black Minnetonka boots. Kinda hard to put on with its all suede interior, but they are soooo comfy. I'll definitely be wearing these all year round. The hubs ninja'd his way into the photo. And just for fun, another one of my favorite recent purchases. Silicone ice molds. Hehe. 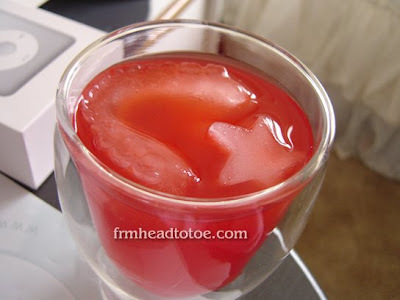 It looks like dentures floating in my drink. You can find the teeth at Urban Outfitters and the stars at Bed Bath & Beyond. I have those exact same Minnetonkas! I have so much trouble getting my feet into them, but I love the style. Hey Jen, I was wondering (since you haven't updated about it): how are those eyelid tapes working out for you? You've been wearing them for... a good few months now, right? Any sign of a permanent crease yet? wow you're so pretty!!! what foundation are you wearing in this FOTD? OMG, where did you bought those Minnetonka Boots?? Rachel: I know, they are a bit difficult to get on but they are sooo soft and great aren't they? nanshi: Yes, I've been wearing them for a while now and I get a temporary crease for a few minutes after I take the tapes out at night and I'll sometimes wake up with doubles in the morning but nothing totally permanent yet. Kim: Have you tried scrunching with product after blow-drying? 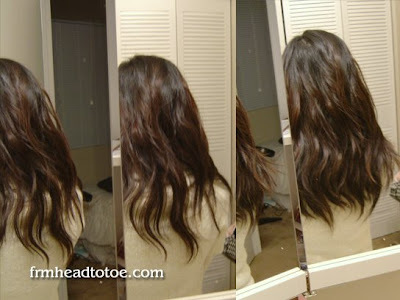 Maybe you can create your own waves from product instead of just natural waves. Anonymous: I bought mine from eBay but you can still find them on zappos.com and piperlime.com. or try amazon. lol @ the ice! urban outfitters definitely has some interesting and unique stuff. and i love how your hair turned out! I'm just wondering but when you wear your double eyelid tapes, is it noticeable to other people? Like would they ask you about it? Because im thinking about buying some tapes and trying them and if they work I'd want to wear it out but I'm scared if people will notice it and think I'm weird. if anyone has asked you what did you say? Hi, I saw you were wearing just a gorgeous sweater. Can you please tell me where you got it? Thanks. I am asking for those exact boots for Christmas!!! Love 'em so much. You styles them perfectly.